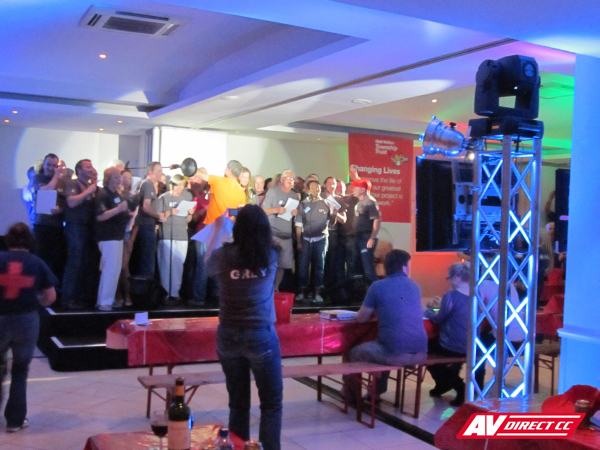 An incredible two-part karaoke evening was held at the Hellenic Community Club in Cape Town. 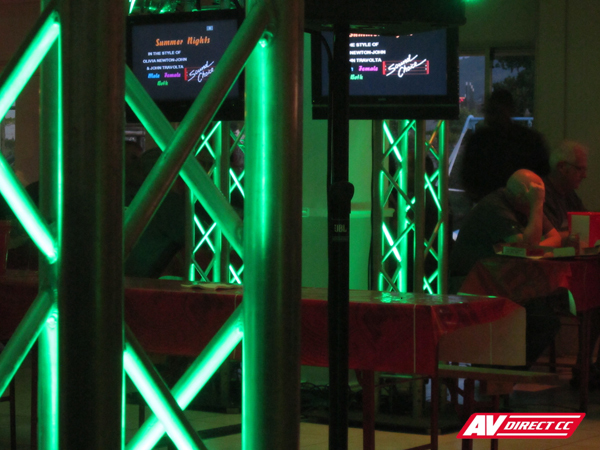 AV Direct was called in to provide sound, lighting and av systems for the event. The teams, after their great work in the housing development in South Africa, took to the stage in an evening of celebration and enjoyment. 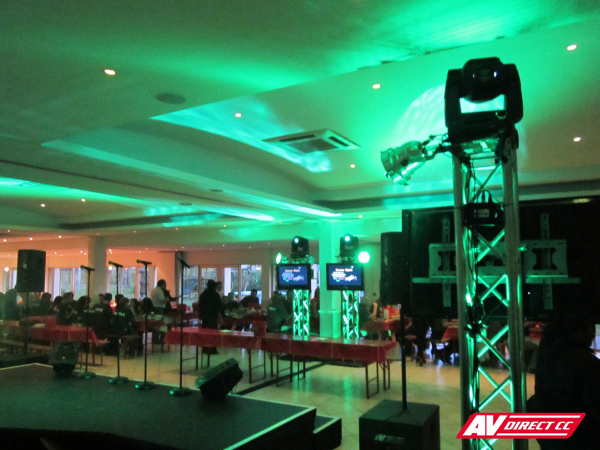 LCD Screens, JBL Sound System, Shure Wireless Microphones, Kramer Switchers & Scalers, Martin Mac250 Entours, LED Parcan Lighting and Euroquad Truss Stands. The events were a massivse success as the Emerald Green team were victorious and could keep the trophy for another year! Clients were exceptionally pleased that sound, lighting and AV was combined to create a stunning setting for the occasion.